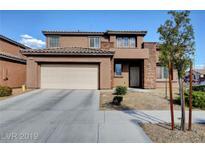 Below you can view all the homes for sale in the La Madre subdivision located in North Las Vegas Nevada. Listings in La Madre are updated daily from data we receive from the Las Vegas multiple listing service. To learn more about any of these homes or to receive custom notifications when a new property is listed for sale in La Madre, give us a call at 702-323-5963. Separate Formal Living And Dining Rooms... Large Backyard ... Large Balcony With Mountain Views ... Covered Patio ... Wont Last Long ! MLS#2084434. NextHome Integrity. 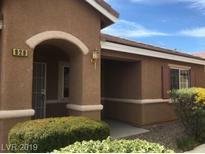 Close to shopping, restaurants, quick freeway access & Nellis AFB. MLS#2082980. Keller Williams Realty Las Vegas. Eat-in kitchen, sold surface counter tops, back splash & plenty of natural light. MLS#2081566. Urban Nest Realty. The backyard includes a covered patio, paved stones and a relaxing fire pit. MLS#2071432. Las Vegas Shorewood Real Estat. Kitchen W/Rich Dark Extended Cabs W/Crown Granite Tops Stainless Dbl Builtin Oven & Gas Cooktop*frml Livingrm*sep Familyrm W/Vaulted Ceilings*downstairs Bdrm*dbl Door Den*tile Flrs*raised Panel Drs New Fixtures Blinds Highend Carpet*spacious Loft W/Balcony*very Nice Secondary Bdrms*beautiful Master*master Ba W/Garden Tub & Sep Shower & Dbl Sinks*large Lot Freshly Rocked Backyard Offers Low Maintenance MLS#2058339. Elite Realty.